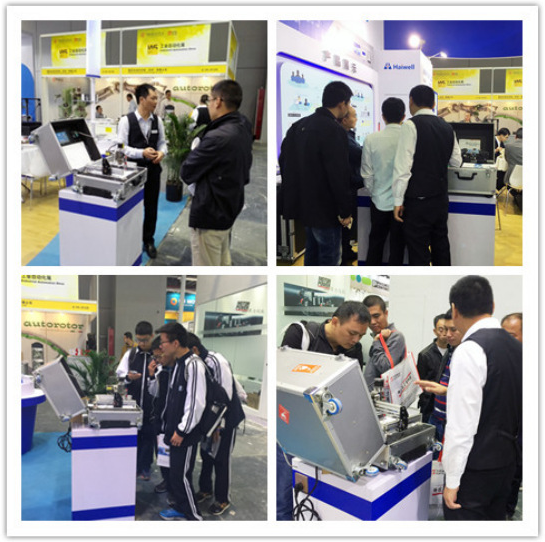 Haiwell in the Shanghai Industrial Exhibition of 2016-Xiamen Haiwell Technology Co., Ltd. 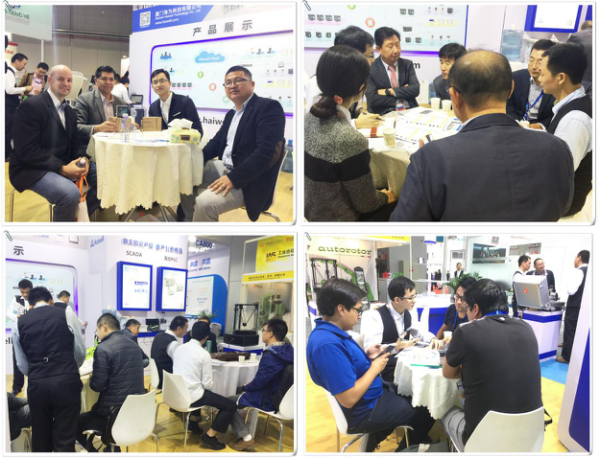 In this harvest season,the 18th Chinese International Industrial exhibition is holded from 1st,Nov.2016 to 5th,Nov.2016 in Shanghai exhibition hall.Bringing its latest products and programs,Haiwell made a bright scene and attracted many customer to visit.Many clients felt surprised and gave much praise to Haiwell’s newly developed products.Here follow me to to see the lively atmosphere in Haiwell booth. 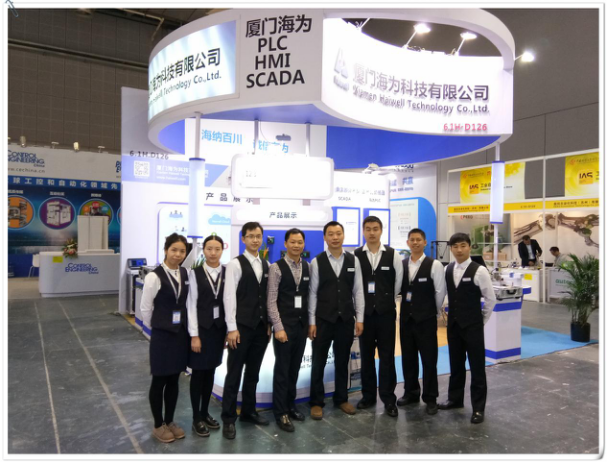 Ten years professional experience and keeping updating constantly to satisfy our customer’s requirement.This year,our new plc with Ethernet port brightened in exhibition and it was highly welcomed by our old and new customers. Haiwell PLC has good communication ability,it used serial port networking before ,but now it has newly developed PLC with ethernet port and there are more diversified ways in networking.In the application layer,PLC hosts connect to a number of slave stations and upper PCs to form network.PLCs with Ethernet port connect to industrial Ethernet switch.In the SCADA control room,engineers and operators can use Haiwell Cloud Scada to make real-time controlling.In addition,with the platform of Haiwell cloud,it can achieve remote monitoring and control,so the engineer can master and monitor it within one thousand miles away. 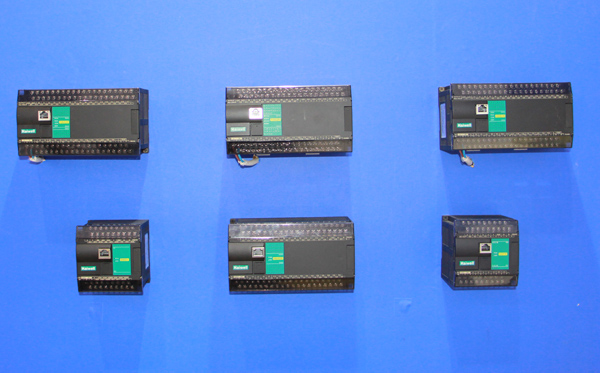 The full range of host PLCs and remote modules of Haiwell support Ethernet function. Haiwell PLCs support master station and slave station with parallel operation by MODBUS-TCP.Integrated powerful ethernet communication ability makes haiwell product easy for distributed installation,saving wiring time and space,easy for building automation and other on-site industrial control. Here,our highlight points,our new test platform-spider hand.Also our interpolation platform, follow-up platform and temperature control test platform.The full set sof test platform’s core control parts are from Haiwell original R&D .It provides our customer with overall solution and Haiwell has this ability. 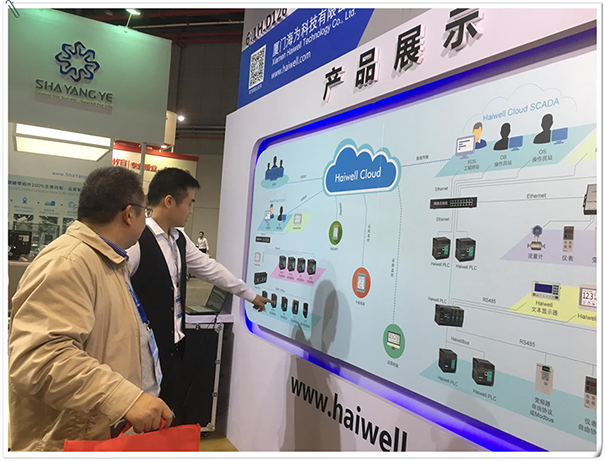 Haiwell test platforms allowed user to make actual operation.It is because its powerful feature and friendly user operation way,attracting many customer to visit. 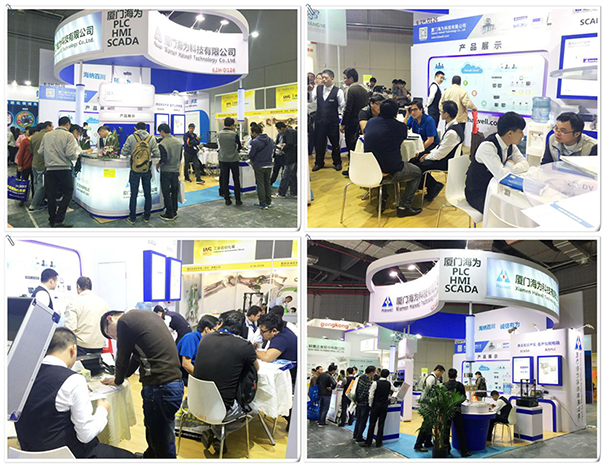 In this exhibition,well organization,good arrangement,all showed Haiwell’s good team spirit and constant R&D power and fruitful achievement. Haiwell technology has gradually extended deep into foreign market. 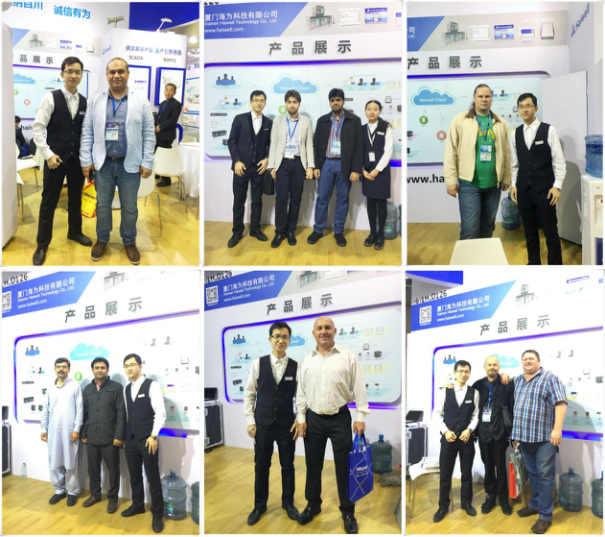 During this exhibition,Middle east,central and south America,Southeast Asia,Africa,Europe and many other oversea customers gave much praise to Haiwell products,showing much interest,having strong willing to cooperate with Haiwell.Some customer take photo with Haiwell Overseas Team. A lot of harvest from exhibition,it is because the hardworking of Haiwell team. Below isa beautiful photo to show our team. Over these years,Haiwell keeps innovating and leading the development of automation enterprises,with varieties of upgrades,structural optimization efforts to enhance competitiveness.High-tech,high-challenge,high value-added good marks to haiwell products.We believe under the wise leadership and all department’s hardworking of Haiwell,our product will reach each corner of world and shine brightly. Keep running, let wonderful product continue!